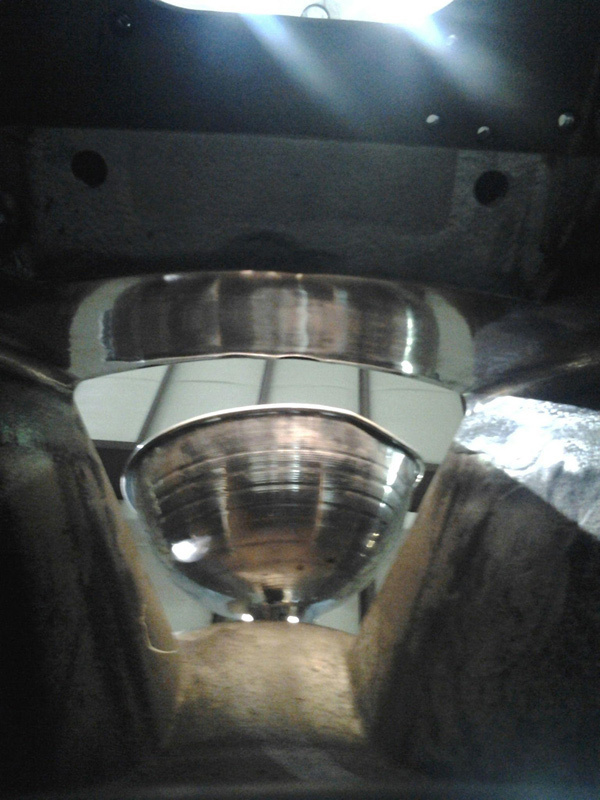 At P & C Metal Polishing, Inc., we are adept at successfully completing large or complex polishing projects which require unique workholding accommodations. 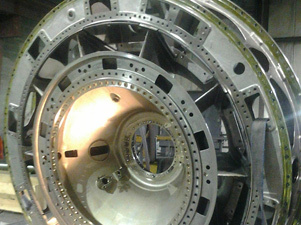 The part shown here is a cast titanium aircraft chamber that is used by a customer in the aerospace industry for research and development. The large casting measures 8’ in diameter and 2’ in height. The customer requested a very smooth surface finish between 2 and 4 RA. Although titanium offers several advantages for aerospace applications, namely a very high strength to weight ratio, it is also ductile and can be prone to deformation if the surface is left as-cast. Polishing is performed to prevent concentrated stresses which could lead to premature part failure, increasing the reliability and longevity of the part. 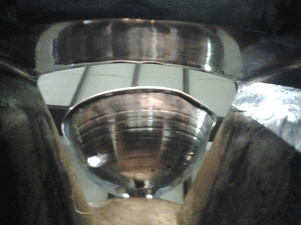 When polishing was complete, the surface finish was verified using a profilometer and visual inspection techniques. We were chosen for this project as a result of our established reputation as a provider of premium quality polishing services and our ability to quickly finish projects. 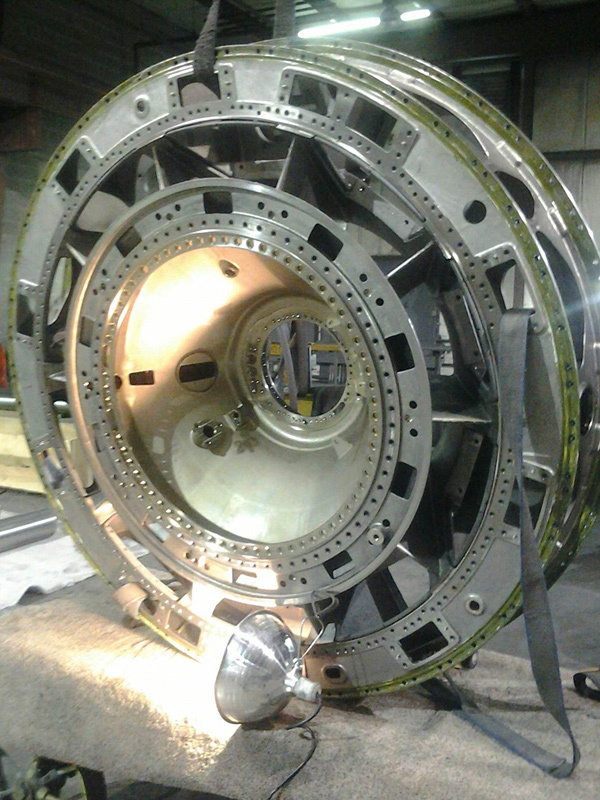 This large casting was completed with a lead time of two weeks. For additional details about this precision titanium casting polishing project, see the table below, or contact us directly. Outside Diameter: Ø 8 ft.
P & C Metal Polishing Inc.